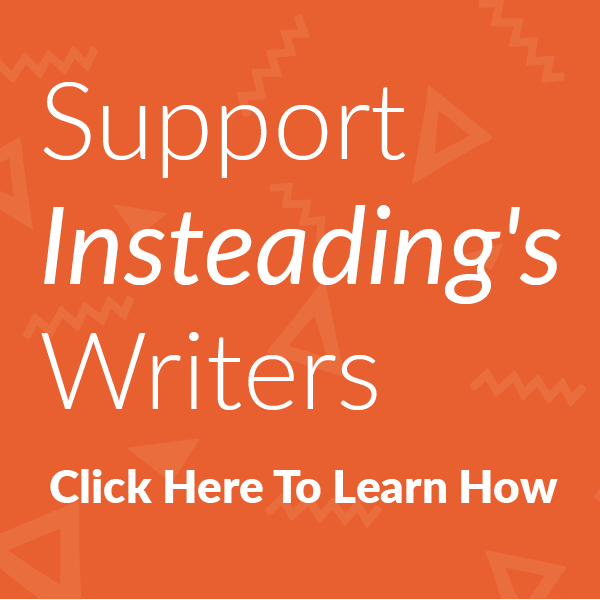 Based on claims made on your product’s label, we have determined that your Cheerios Toasted Whole Grain Oat Cereal is promoted for conditions that cause it to be a drug. The Food and Drug Administration is busy ignoring all of these potentially problematic issues, but has plenty of time to harass a cereal company about its claims about whole grains. Seriously?! Look, I’m not big on General Mills cereals. I prefer organic for my kiddos. But I find it pretty ludicrous that this is what the FDA has been spending its time on. Complain about being understaffed and underfunded if you must (it’s the same ol’ song of any government agency). But it’s dumbfounding that the FDA is actually wasting their precious little resources on this. Whole grains are good for you. It’s true. Even the Mayo Clinic recommends them for heart health. 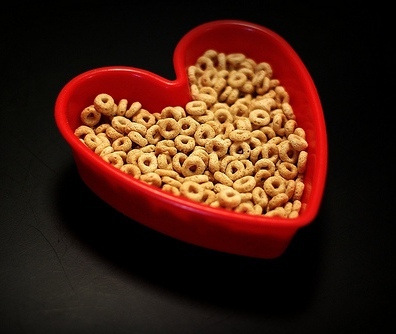 Cheerios’ soluble fiber heart health claim has been FDA-approved for 12 years, and that its “lower your cholesterol four percent in six weeks” message has been featured on the box for more than two years. Because of these intended uses, the product is a drug. Compared to most of the stuff the FDA regulates as a drug, I’d reach for a box of cereal any day. Image: House of Sims on Flickr under a Creative Commons License. Next article Solutions to Global Warming: Reduce my Carbon Footprint by 70%? Oh great. Now General Mills can up the price. Isn’t that what companies do with drugs? I’m just trying to picture the cereal aisle if the FDA keeps this up. And I guess parents had better be careful about letting babies have Cheerios as they get into solid foods. Don’t want that little cutie hooked on their first drug, do we? Hey, does that mean I can have my insurance company pay for all the whole grain foods I buy? Interesting post! Saw the HFCS mention, so I thought I’d share this third party article about the misperceptions about High Fructose Corn Syrup and mercury. While I can’t argue that there seem to be bigger fish to fry… my guess is that the people who handle product labeling are not the same people who determine acceptable mercury levels etc. etc. It’s not like the FDA is 3 guys in their mom’s basement. It’s a federal organization with 9300 employees and a 2.3 billion dollar budget. And GM’s claim IS inappropriate. “Heart healthy” is vague and general (and *still* requires scientific proof). “lowers cholesterol 4% in two weeks” is a specific medical result, and sounds an awful lot like something you’d see on a drug label. That is not an appropriate message to have on food. It is definitely the FDA’s job to police how products are advertised. I, for one, am glad they’re doing it… or should we go back to the snake oil days of yore, where anyone could put whatever claims they want on their products? And GM’s response is equally ridiculous. Who cares if the claim has been there for two years? When you get pulled over for doing 90, do you tell the cop that you’ve been doing it for two years? Just because the FDA didn’t notice and stop it earlier, doesn’t mean they can’t or shouldn’t now. Also, that link to Mercury in HFCS? Read the actual data… The safe tolerance level of total mercury is .5 parts per MILLION. The most they found was 350 parts per TRILLION. That’s 1/700th the safe level. It’s like those Total cereal commercials… except you’d have to eat 700 bowls of Quaker Instant Oatmeal to equal the mercury in one barely contaminated tuna sandwich. I agree with your position. If the FDA is going to make their own broad based recommendations for everything good or bad for you, I expect them to start hammering the growers, since some subversive is spreading rumors about fruit and veggies being good for you. Ah, yes. The mercury in HFCS got picked up on. Let’s do the math: women of childbearing age have been recommended to limit their exposure to mercury to 5.5 micrograms a day. But depending on your diet and avoidance of HFCS, you could be consuming anywhere from .25 micrograms to 28.75 micrograms of mercury per day. And that’s not including the mercury exposure from fish consumption. Or the mercury (even trace levels) we introduce to our children through vaccinations, especially the flu shot, which DOES contain thimerosol. Let’s not be proponents of a known neurotoxin, especially when there are so many avenues for exposure. Tell me who paid for that study on the mercury (or lack thereof) found in high fructose corn syrup (HFCS) and I’ll tell you whether I consider it to be a valid study or not. Pingback:Food Policy Friday: FDA to Conform to EPA Standards for E.Coli in Bottled Water : Eat. Drink. Better. Solutions to Global Warming: Reduce my Carbon Footprint by 70%?